George Crumb was born on October 24, 1929, the same day as the infamous great Crash on Wall Street. He was born to musical parents and became interested in music at an early age. George Crumb concentrated most on playing and composing for the piano throughout his college years at Mason College of Music in Charleston. He went on to do masters work at the University of Illinois, Champaign-Urbana under Eugene Weigel. He then won the Fulbright Scholarship and studied under Boris Blecher at Hochschule for Musik in Berlin from 1954-1955. He received his DMA in 1959 at the University of Michigan, Ann Arbor after studying with Ross Lee Finney. After graduation he taught theory and analysis at Hollins College in Virginia. He then became instructor and assistant professor of piano and composition at the University of Colorado, Boulder in 1958. From 1964-65 Crumb was creative associate/composer-in-residence at Buffalo Center for the Creative and Performing Arts in Buffalo, New York. In 1965 he became an assistant, then full professor at the University of Pennsylvania. In 1983 he became Annenberg Professor of the Humanities. Crumb retired from teaching in May of 1997. Crumb is known for his “unusual and hauntingly evocative timbres and for incorporating mysterious voices and sounds of unconventional instruments into his works,” and for his innovative use of theatrical techniques in chamber music. He won a Grammy Award for Best Classical Contemporary Composition for Starchild. 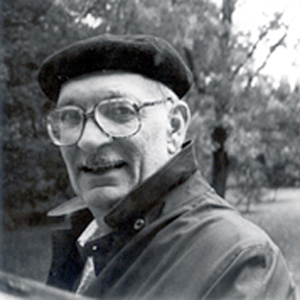 Throughout the course of his career, George Crumb won numerous awards and distinctions. Some include the Fullbright Scholarship, the Rockefeller grant, the Pulitzer Prize, UNESCO International Rostrum of Composers Award, membership to the National Institute of Arts and Letters, the Ford grant, and six honorary degrees. George Crumb lives with his wife, Elizabeth May Brown and has one daughter and two sons.